Isn’t this adorable?!!! 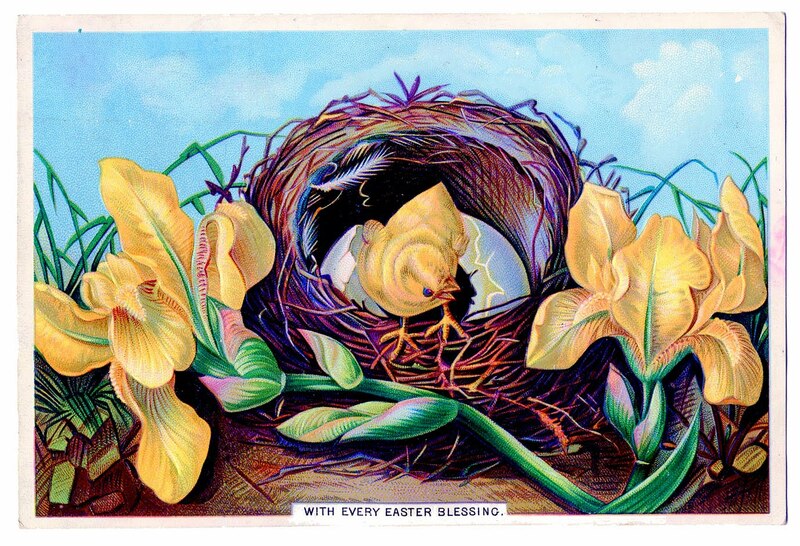 This is a Victorian Easter card, that shows a sweet yellow Peep, hatching out of an egg, inside of a bird’s nest!! The nest is surrounded by 2 huge Yellow Iris. Such gorgeous color on this one! What a precious little chick! Motivates me to start working and creating spring projects! What a darling little chick! I’m in the Easter mood now! Let’s bring on fresh weather with Spring! I just love the Easter ones too! They seem to be especially charming, and the colors are fun too! Yes, Spring!! Let’s here it for Spring! As I sit here, with aching muscles from shoveling 6 inches of snow this morning! Argh! What a sweet spring image! 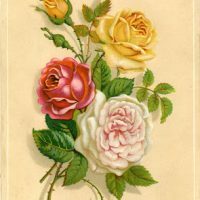 I love your Blog and will definitely be linking it to mine. Its fantastic. I love the graphics and look forward to creating some wonderful graphics with them to post on ‘Brag Monday’.